people, domestic animals or property (i.e. functional safety). 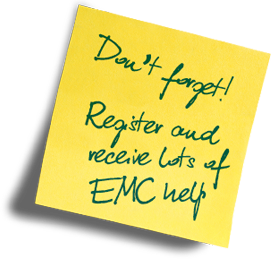 Electromagnetic interference (EMI) can be a cause of unreliability in all electronic technologies, so electromagnetic compatibility(EMC) must be taken into account when the risks caused by malfunctioning electronics are to be controlled. 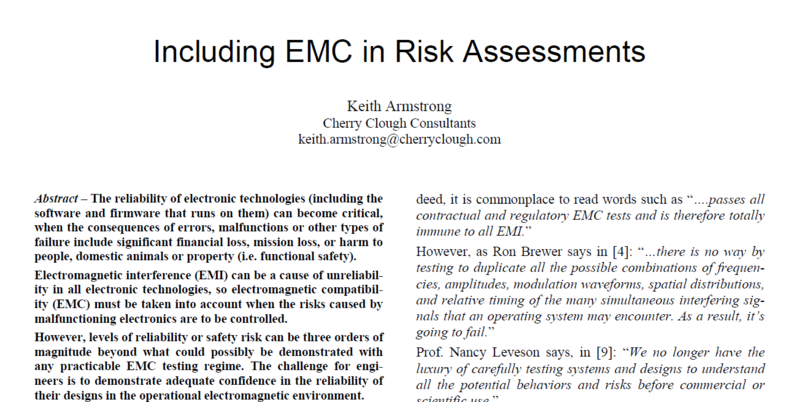 However, levels of reliability or safety risk can be three orders of magnitude beyond what could possibly be demonstrated with any practicable EMC testing regime. The challenge for engineers is to demonstrate adequate confidence in the reliability of their designs in the operational electromagnetic environment. 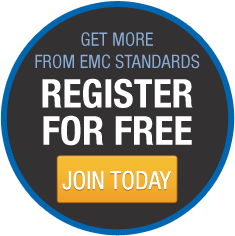 The solution  is to use well-proven EMC design techniques, plus risk assessment that shows the overall design achieves acceptable risk levels, all verified and validated by a variety of techniques (including EMC testing). This paper addresses how to apply risk assessment techniques to issues of electromagnetic compatibility (EMC).